Always paying attention to detail. Serving central Mississippi since 2011, High Grove Landscaping has developed a consistent reputation for honesty, dependability and attention to detail. Want proof? Just look at our customer reviews. 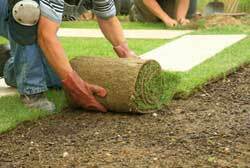 We treat your lawn like it's our own and even promise to give it back to you in better condition than we received it. You can trust us. From conception and design to installation and maintenance, our dedication to total client satisfaction is evident in the work that we do. What does it take to create the ideal landscape design project? Our team of skilled landscape architects would love to show you. Whether you are just tired of mowing your lawn or you want the best looking yard in the neighborhood. We are here to help. A very knowledgeable and reliable crew. They are prompt (weather permitting) and leave my property better than I ever dreamed possible. Thought I would take time to let you know how well pleased I am with your company service. The crew is doing a great job taking care of my property. When you have time, you should drop by and see the changes that have been made to my property. My lawn is so beautiful it should be in magazine! I would like you to know that my wife and I are very pleased with the work that your company did recently at our home. We had a complete make over (sod and plants) of our property and everything looks fantastic. Thank you. 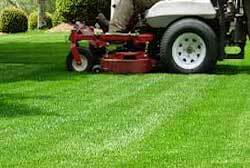 To be the best landscape management company in the southeast, by providing superior customer service and superior product to our customers. To be the best value to our customers when comparing services with our competitors, while maintaining a fair profit. To provide a high quality work place where all people are respected and have an opportunity to participate in running the company, and have opportunities to grow and advance while earning better than competitive wages and benefits. To assemble a friendly, professional staff who will cater to our client’s needs by offering services and products that create and maintain beautiful outdoor living spaces. High Grove Landscapes offers two outstanding maintenance programs which insure that our clients' landscape investment is properly maintained. High Grove Landscapes will maintain all aspects of your exterior maintenance and provide you with a reporting system that will keep you up to date on the condition of your property. 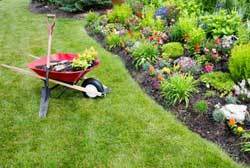 We will monitor the health of your landscape, as well as, offer you ideas on how to enhance your overall landscape for the long term. High Grove Landscapes specializes in maintaining office parks, homeowner associations, corporate campuses, retail spaces, industrial parks, and hospitality. No contracts! Professional, dependable, at really affordable prices. You pick when we come. Order, schedule and pay online RIGHT NOW!